The company promises to deliver all the pre-ordered handsets by November 24th. 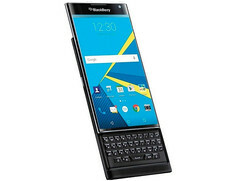 BlackBerry informed some of the customers who pre-ordered the new BlackBerry Priv smarthone, that due to high demand shipping are delayed and, as a result, their devices will be delivered at a later date. At the same time, the company promises to deliver all the pre-ordered BlackBerry Privs by November 24th. "This is a follow-up to the email we sent you on Friday to keep you updated on ShopBlackBerry PRIV pre-order deliveries. Due to demand, there has been a delay in shipping PRIV smartphones to some customers who pre-ordered. We continue to deliver PRIV devices and expect all remaining pre-orders to arrive no later than November 24th. Once your order has been shipped you will receive a confirmation by email so you can track your order." BlackBerry Priv is the company’s first Android phone. It features a 5.4-inch, 2560 x 1440 display and runs Android 5.1 Lollipop out of the box. The handset is powered by Qualcomm Snapdragon 808 SoC, accompanied by 3 GB of RAM. The rear camera uses an 18 MP sensor while the front shooter allows taking 2 MP selfies. The device is available for purchase from AT&T and shipments to customers who had ordered the smartphone online started on November 6th.